It’s almost summer and we all know what that means for Los Angeles residents. It’s time to do a check up on your AC unit. What this also means for Los Angeles residents as well as the majority of Southern Californians is that utility bills will start going up! If you’re reading along, don’t worry, our 4 AC maintenance tips will help you to get your air conditioning unit ready for summer. We’ll cover efficiency, air filters, maintenance, and other factors. 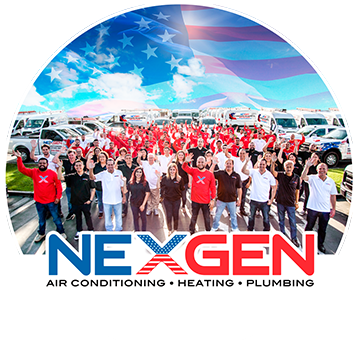 Did you know your AC unit can lose a percentage of its efficiency every year that it goes without professional HVAC servicing? Your 21 SEER unit could be functioning at the efficiency of a 16 SEER unit in just a few years. That’s right! Follow your AC unit’s recommended maintenance schedule and make sure you call a licensed HVAC service technician whenever the need arises. Regular maintenance, though the most expensive HVAC tip on this list, is the most effective way to keep your HVAC unit running in top shape for years to come. Service techs can ensure your coils are clean, refrigerants aren’t leaking, voltages are running properly, and fans are blowing. This one’s a no brainer. Filters will eventually get clogged up with dust and debris which can be detrimental to your air conditioning unit. If the air flow is clogged enough it can cause your AC unit to ice over, which is an expensive fix. Failing to replace your air filters is a one way ticket to a malfunctioning AC unit. Take the time to schedule your thermostats to run at the right temperatures based on the heat of the day. If you’re away from home for most of the day, let’s say for work, have the AC turned off and set to start cooling your home an hour or two before you get home. That way, you’re saving energy but still priming your home for some level of comfort for when you get home. Most traditional thermostats have a very annoying user interface for setting a cooling schedule for your home. If you want a slight upgrade, we’d highly recommend a smart Wi-Fi connected thermostat so that you can set your summer cooling schedule from anywhere, right on your smartphone. If you have a split system AC unit where the condenser is outside, usually somewhere in your side yard, we highly recommend covering the condenser with as much shade as possible. Your AC unit’s condenser coil is where all the heat from your home is dissipated into the outside air. Making sure you keep your condenser cool will help it work much more efficiently. By following these 4 summer time AC maintenance tips, you can make sure your electric bills are low and your AC unit is working properly. We hope these 5 HVAC tips were helpful and that you’re ready for this coming Los Angeles summer.